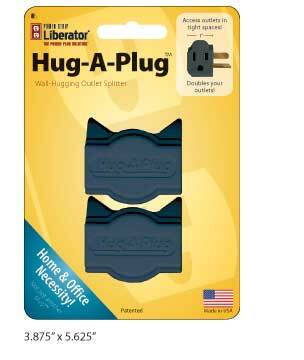 With the Dual Outlet Liberator wall adapter, you can easily change the orientation of your electrical cords to enable furniture to fit closer to any wall and not damage the electrical cord or outlet. Simply plug in the Dual Outlet Liberator, connect your cords and that’s it. Works great behind desks, cabinets and appliances.